The COVERPLUG™ is a durable, molded, and paintable plastic panel that plugs right into an electrical socket to cover the entire outlet. These innovative outlet covers are held securely in place by posts on the back that align with the ground openings and require no tools for installation or removal. 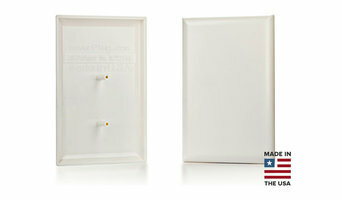 They are made in the USA and use a specially designed plastic that is easily paintable to match your wall color. The COVERPLUG™ serves two main functions: Creates a physical and visual barrier between your family and electrical outlets. Covers unsightly outlets and makes them virtually disappear! MADE IN THE USA. 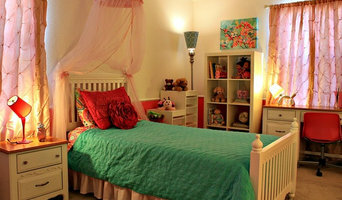 Living Lullaby Designs offers interior design for nurseries and kids' rooms nationwide. We would be delighted to help you with your nursery or children’s room interior design project. It brings us great joy to help you bring your vision for your child’s room to life. Or help you form the vision you didn’t even know you wanted! When you hire Living Lullaby Designs, you are not only getting one designer, but a team of designers. We all have extensive experience in different areas of design that compliment each other and we all specialize in design for babies and children. We have a plethora of resources and are familiar with the most popular and beautiful brands available. We work together as a team to create a plan for your room that gives you the most value for your money and time. Lovingly enlightened line of toys and tools to help 'littles' understand big things. #CoParenting #BlendedFamilies #MindfulParenting Founded on the belief that there should be enlightened and fun toys and tools to help 'littles' understand the world around them, we've developed a kid-adored line of lovingly enlightened products. We know every family is unique, and that there are a myriad of ways to lovingly help 'littles' make sense of big things so they can focus on little things. We also believe in the innate and beautiful light in each little, and are dedicated to providing enlightened toys to help nurture their higher self. In close cooperation with acclaimed and accomplished Child and Family Play Therapists, we've created an enlightened line of lovingly made toys and tools to help your 'littles' take flight. Green City Living started as one mom/nurse/wife/crafty gal's quest to decrease her family's environmental impact with reusable sandwich bags that preserved the quality of the food they ate. Our business is about continuing that effort, and our core value is said best by this Native American proverb: "We don't inherit the earth from our ancestors, we borrow it from our children.” At Green City Living we bring green home with USA made products that are affordable, long lasting, and that really work. Our products are not only reusable, they are very usable. Sarah Wennogle is extremely well-versed in early childhood development. She currently resides in Denver, Colorado with aspirations to become a public figure in the local community. Luxury, custom built playhouses by a master builder. Elegant, stylish children's play houses built to your custom specification, with a quality finish. 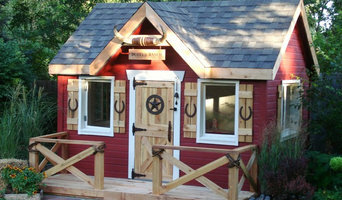 We offer custom designed playhouses and accessories for clients throughout the USA. We strive to provide the craftsmanship and aesthetic details rarely seen in today's children's items. WeePlan Baby Planners offers certified baby planning, greenproofing, and concierge services for expecting and new parents, in addition to product consulting for manufacturers and retailers. Our nursery has a foundation in cutting edge design and products with an emphasis on safety and education. Residential remodeling contractors service for the Lakewood and Denver area. Specializing in bathroom, kitchen, basement design and other services. Visst kan det vara smart att besöka en barnaffär innan man sätter igång. Både för den som behöver hjälp från grunden och den som bara behöver sålla bland sina idéer. En barn- eller babybutik i Thornton kan hjälpa dig att hitta rätt bland babyprodukter, leksaker och möbler för ditt barn. Eftersom barn växer snabbt kan det vara smart att ha en strategi bakom inredningen. Hur länge kommer mitt barn kunna sova i sin säng och fungerar möblemanget även för ett större barn? Be om tips och råd från din baby- och leksaksbutik så att du kan möblera och inreda extra smart. Ibland kan man dessutom behöva handla från flera olika butiker och då är det såklart smidigt att handla sina babyprodukter online för att förenkla logistiken och hämta upp allt på en och samma gång. Det finns ju så mycket annat att lägga sin tid på. Leta upp ett par leksaksbutiker och barnbutiker i Thornton, CO och på nätet och jämför sen utbudet. Detta är ett smidigt och smart sätt att se till att man får precis vad man önskar till sitt barnrum. Lycka till!